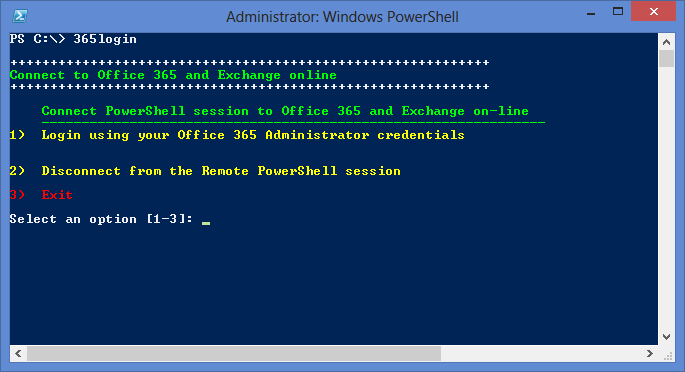 I finally got fed up with the login process for Office 365 PowerShell, so I have created a set of scripts to simplify login. 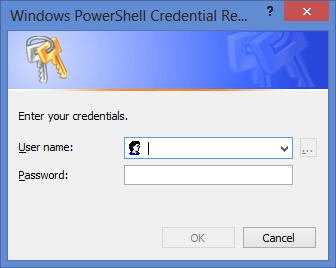 Powershell Script to manage the login process. 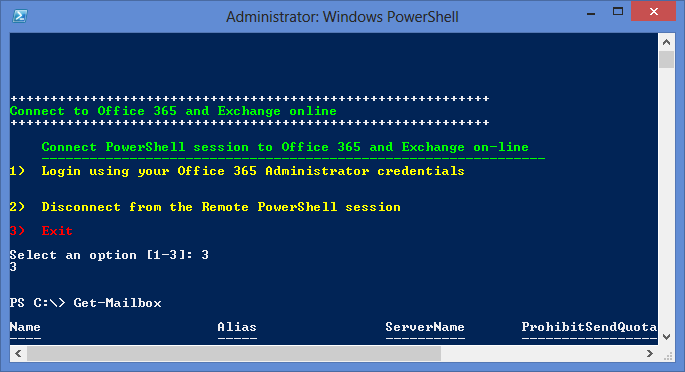 Open PowerShell up using Administrator Privileges. 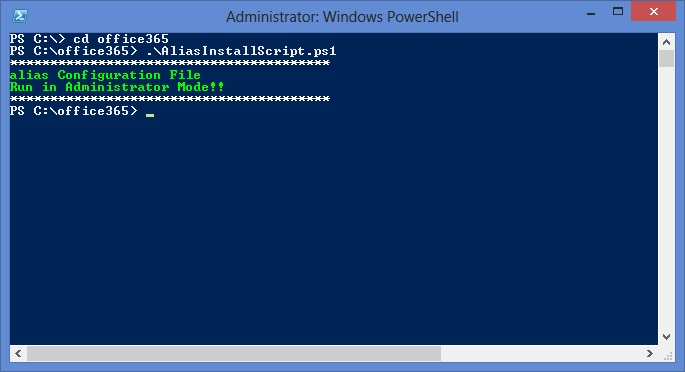 Now your Alias is configured you can access the login script on PowerShell start-up without importing and running several commands. 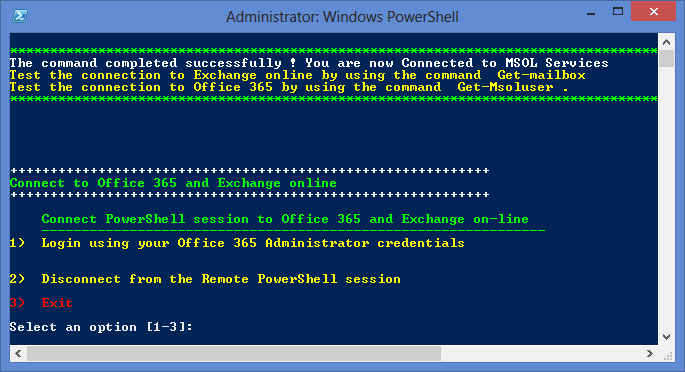 Enter your Office 365 Login credentials and click ok.
you can disconnect from sessions by entering 365login and selecting option 2. Nice little script. 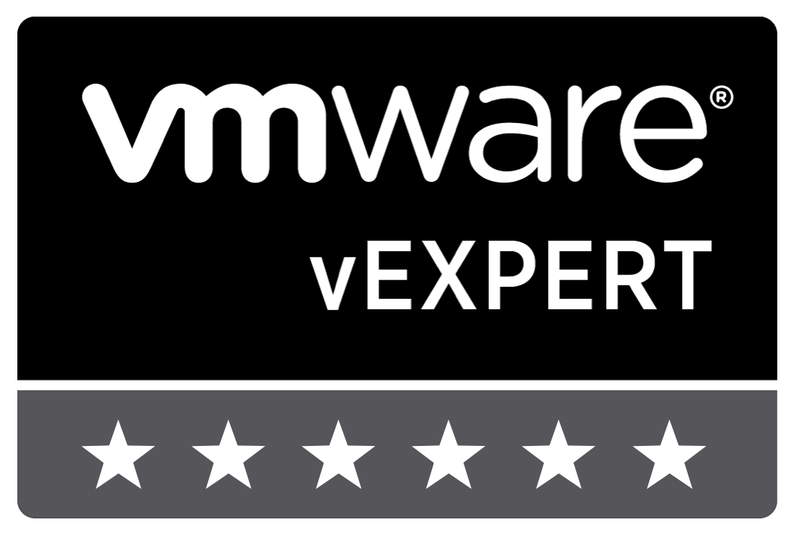 Thanks for making it public. worries just tell me and I’ll delete it. Regardless keep up the great work.